High tide in Saligo Bay on a breezy afternoon on Islay, the water reaching almost to the top of the beach. 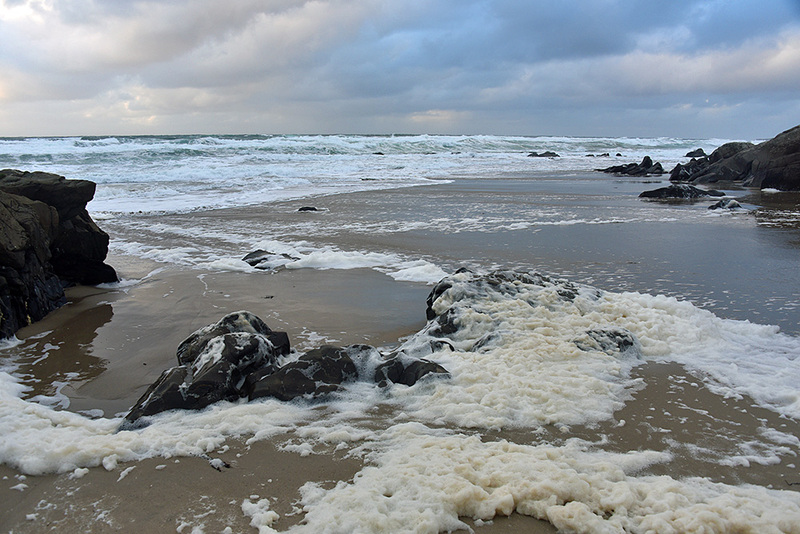 Some foam whipped up by the waves has gathered around the rocks on the beach. This entry was posted in Beaches, Cloudy Weather, Landscape, New Post and tagged Islay, Rhinns of Islay, Saligo Bay by Armin Grewe. Bookmark the permalink. Dont fancy being their today Armin, West coast taking a soaking as well as the central belt . Looks on the long Range forecast like its going to be a wet December .